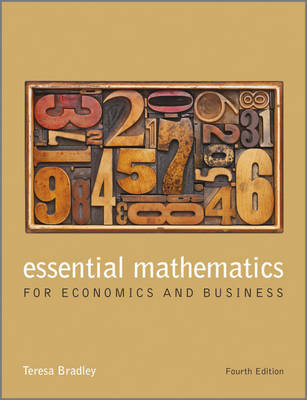 Essential Statistics for Economics, Business and Management assumes no prior knowledge of statistics. It will also be highly relevant for the statistics component of courses in quantitative methods. 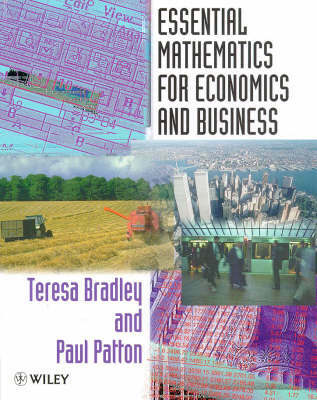 The style of the book is similar to that of the highly successful Essential Mathematics for Economics and Business by Teresa Bradley and Paul Patton, with many worked examples integrated throughout. Emphasis is placed on verbalising concepts, problems and results of statistical analysis. This will help students learn how to start a problem, complete the calculations, and report the results in a way that makes sense to a non-statistician. Each concept is introduced with a brief but plausible explanation followed by Worked Examples. The Worked Examples will provide students with the necessary practice that they need in order to succeed at the subject. Emphasis is also placed on learning through doing problems. Excel is used to encourage students in doing problems and to enhance understanding (with links to datasets online). Minitab printouts are also included in the text. Skills Development Exercises with brief solutions are included within the chapters, and Progress Exercises on theory and applications are provided at the end of each chapter. Solutions to all the worked examples and progress exercises are available as an appendix. Web-based supplementary materials will be provided for lecturers adopting the text, including additonal exercises and solutions, excel datasets and exercises, powerpoint slides with key formula, figures and tables. Students can access an online glossary and weblinks. Buy Essential Statistics for Economics, Business and Management by Teresa Bradley from Australia's Online Independent Bookstore, Boomerang Books.